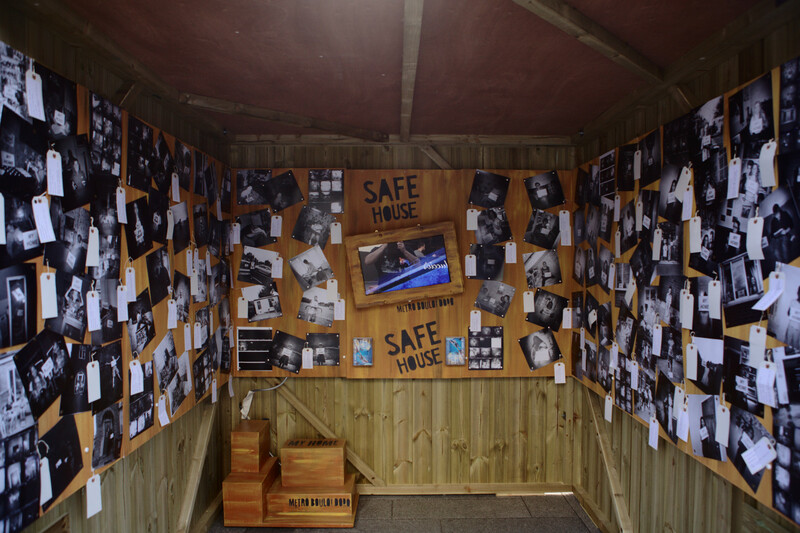 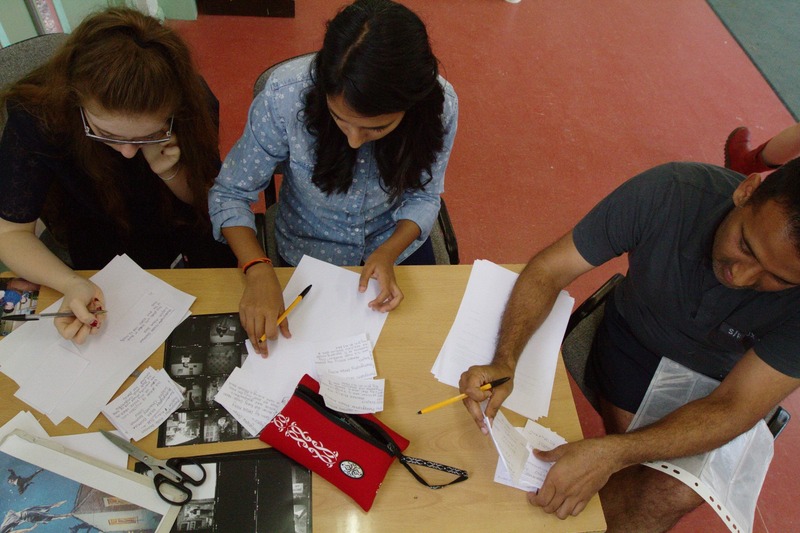 We were invited by Metro-Boulot-Dodo to produce a set of workshops, culminating in an exhibition and event to be held in conjunction with their Safe House project. 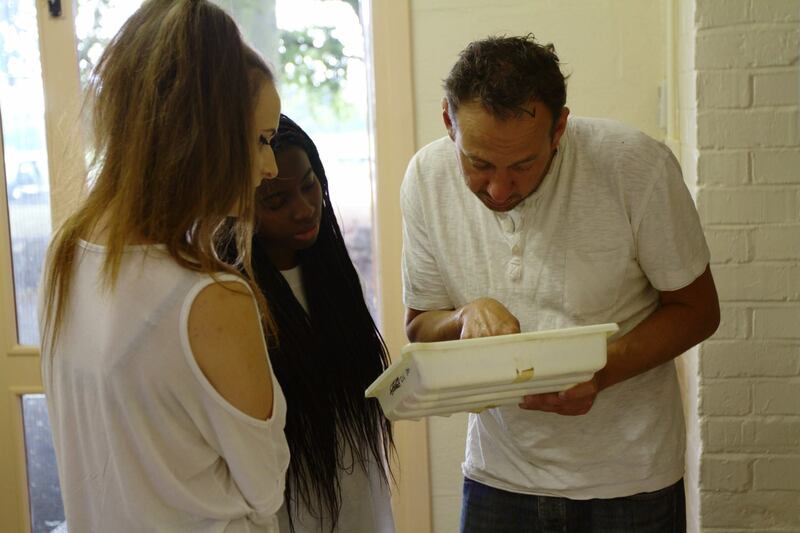 we were given 3 groups of teenagers/young adults from different communities within the city. 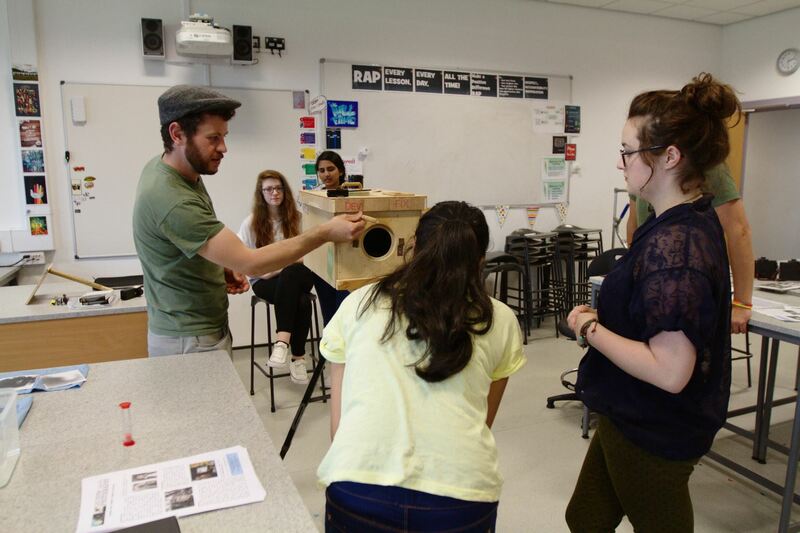 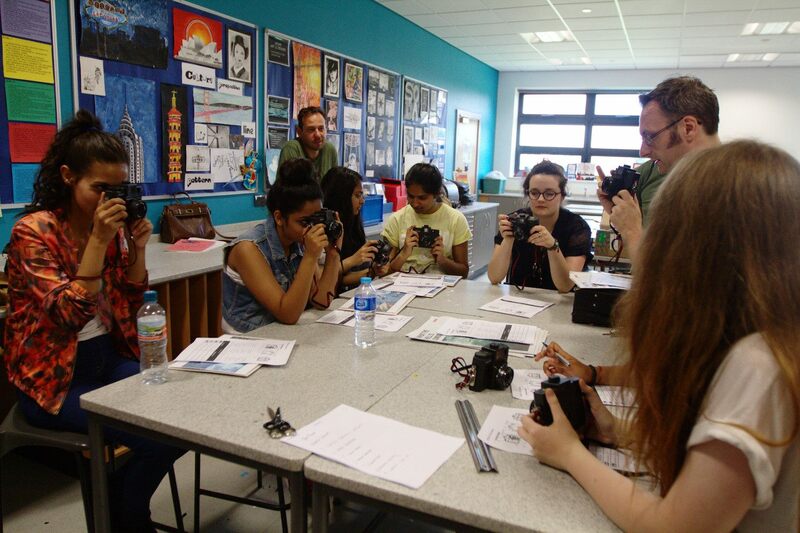 The first set of workshops was to introduce them to the project and cameras. 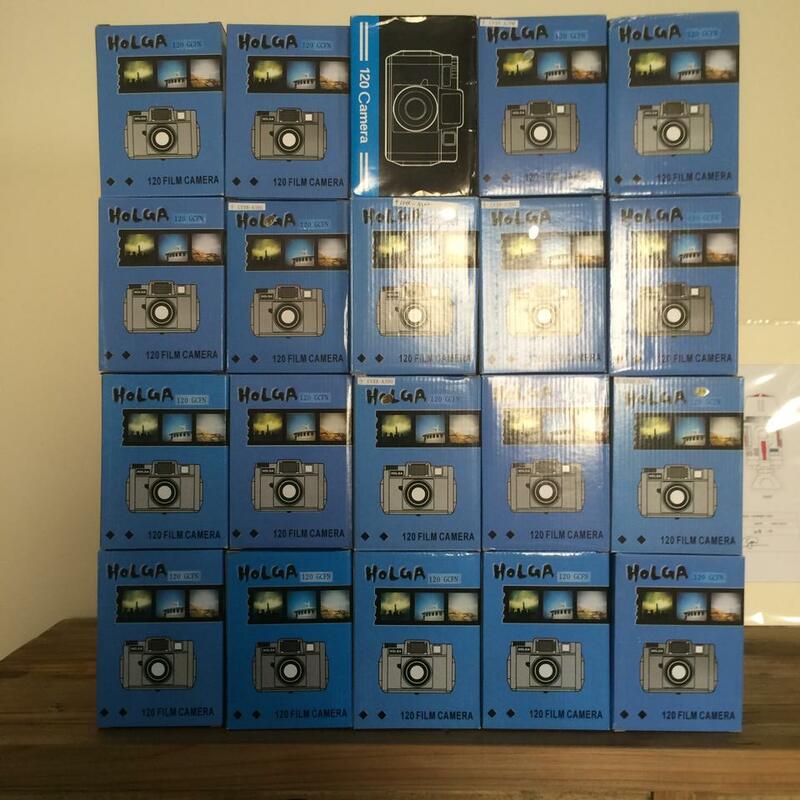 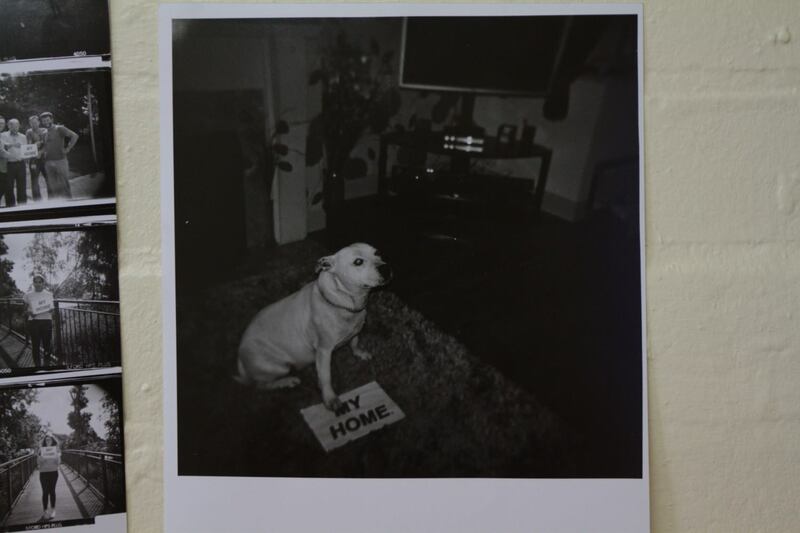 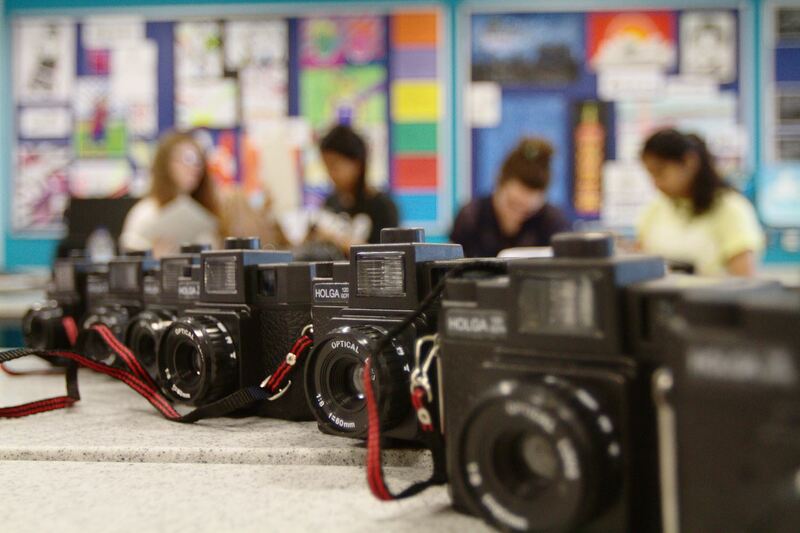 Everyone in each group was given a Holga camera loaded with film to take away and photograph what home meant to them. 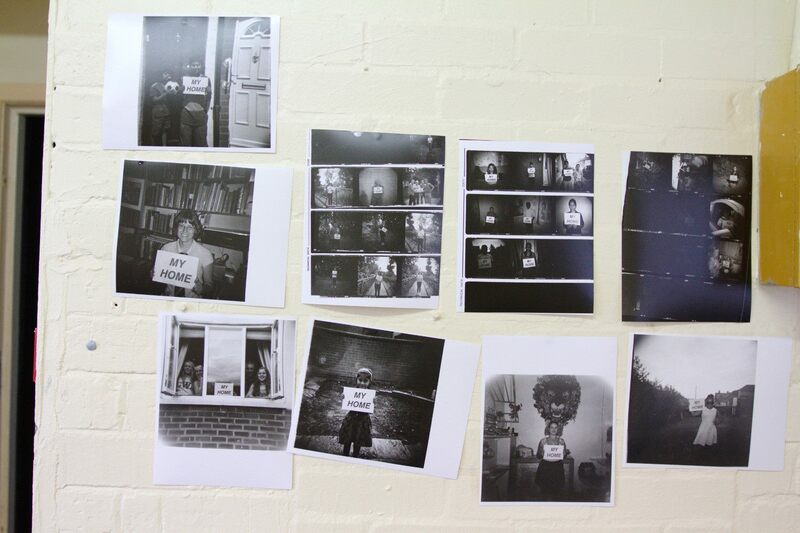 After a couple of weeks the cameras were collected in and the films processed by us in preparation for the second round of workshops. 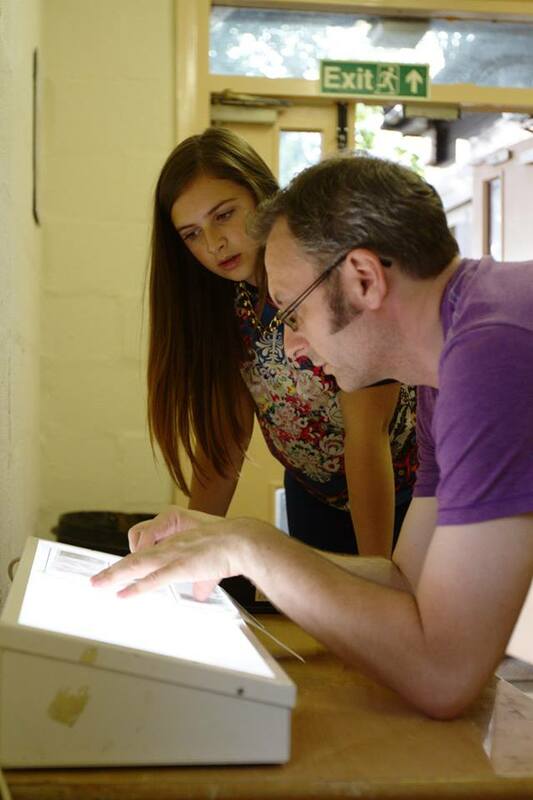 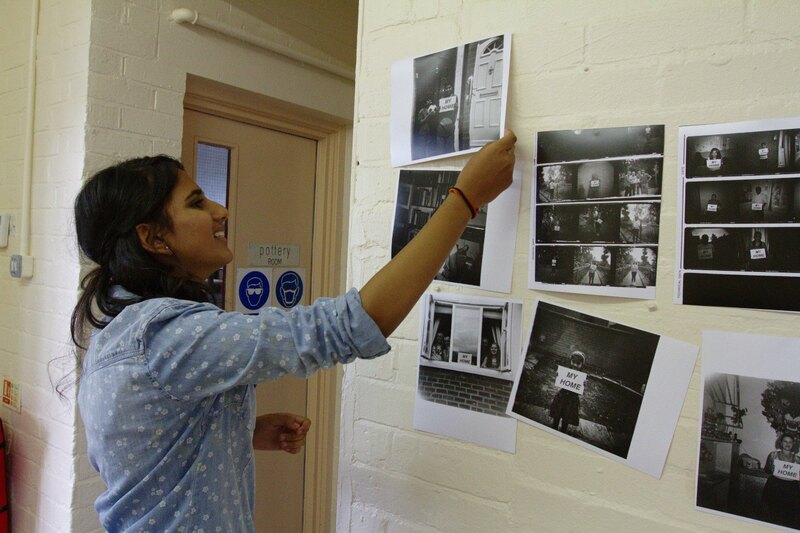 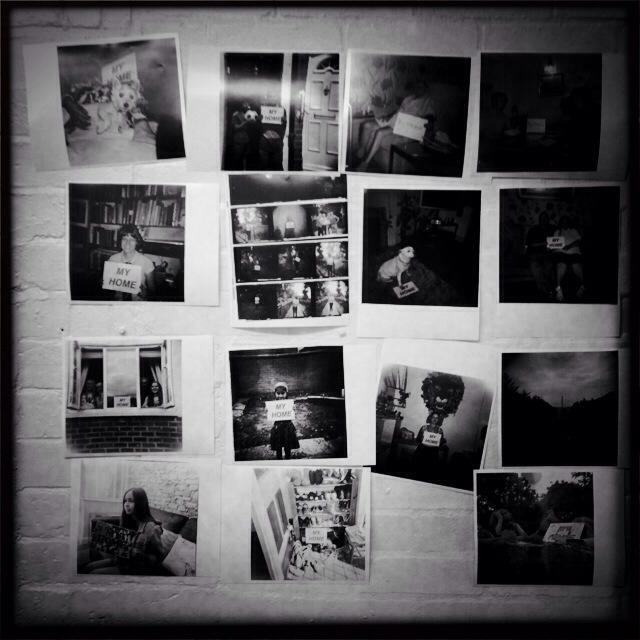 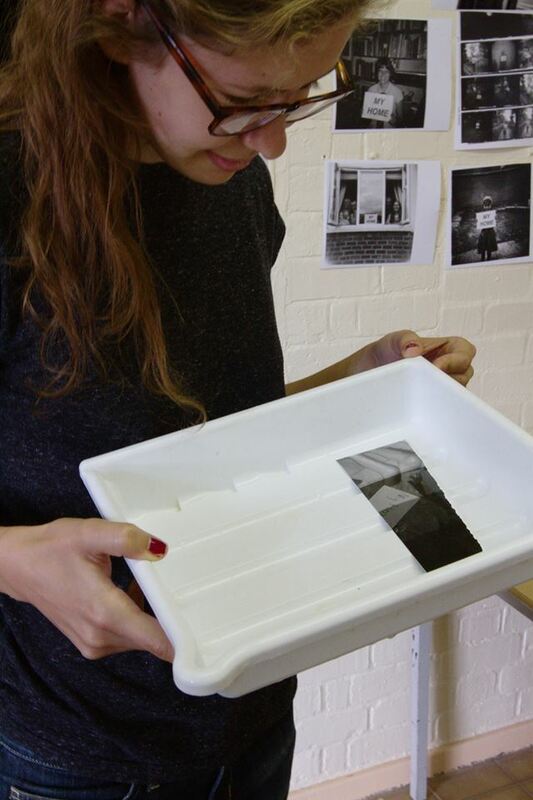 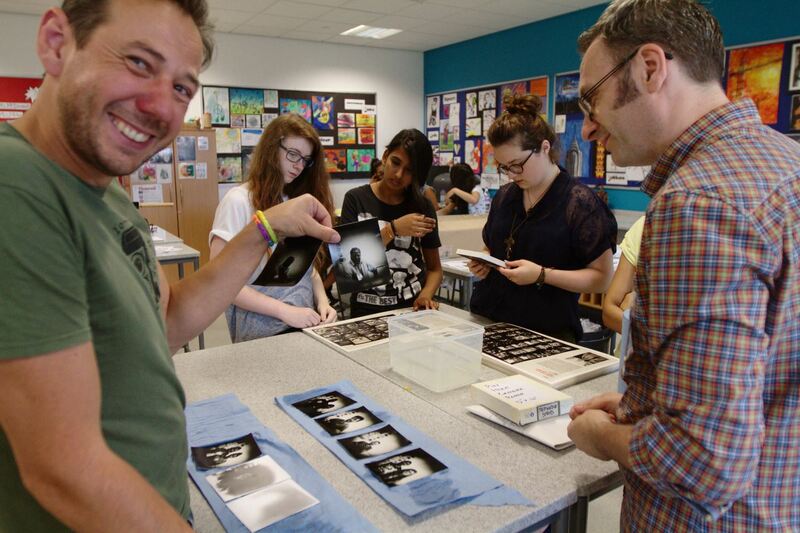 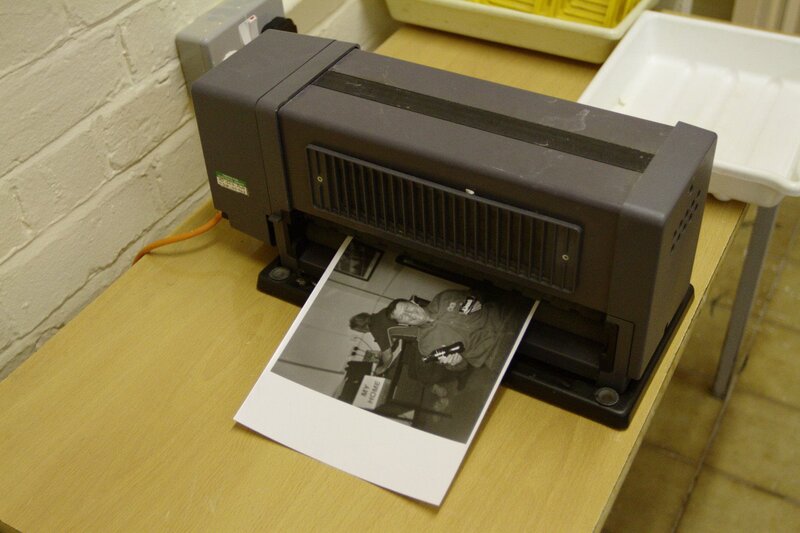 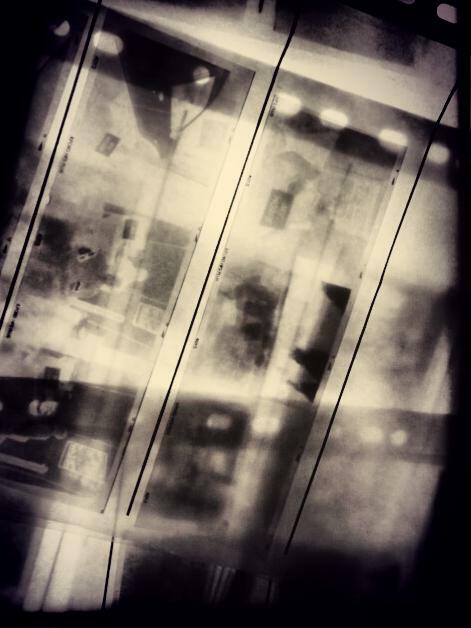 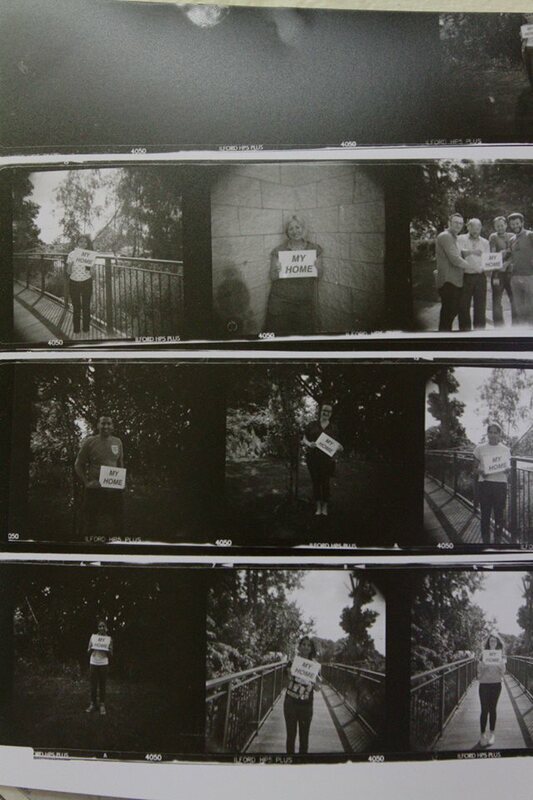 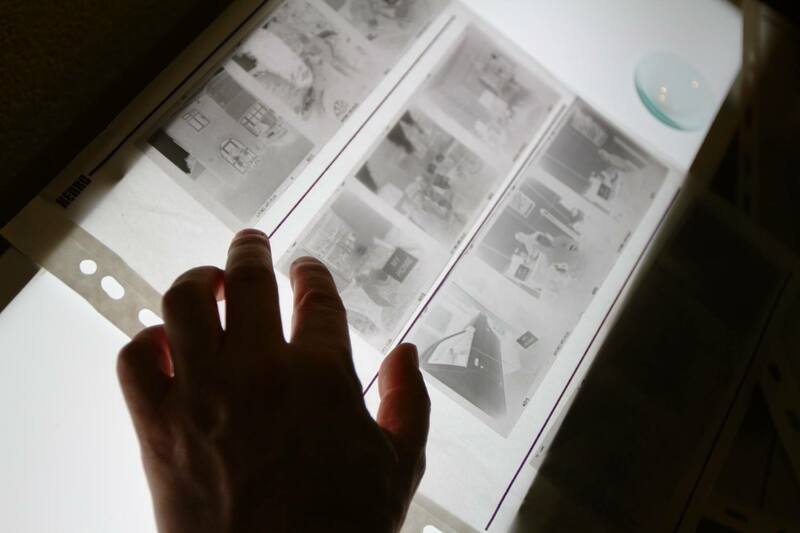 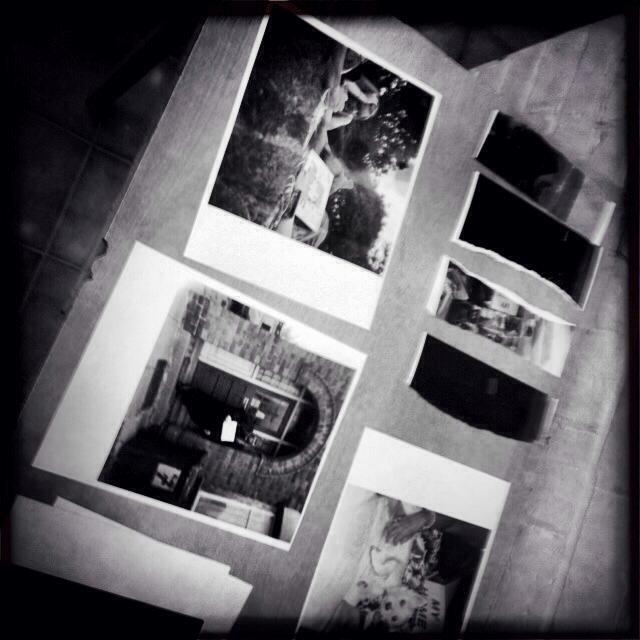 For the next set of workshops each group came to out darkroom, where we taught them how to print their own negatives. 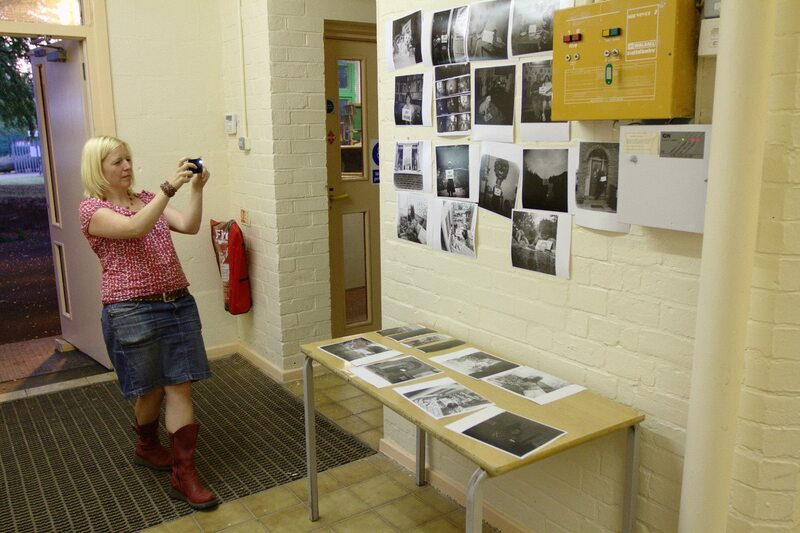 Each member then went on and produced several prints for an exhibition to be held over the weekend of the final event. 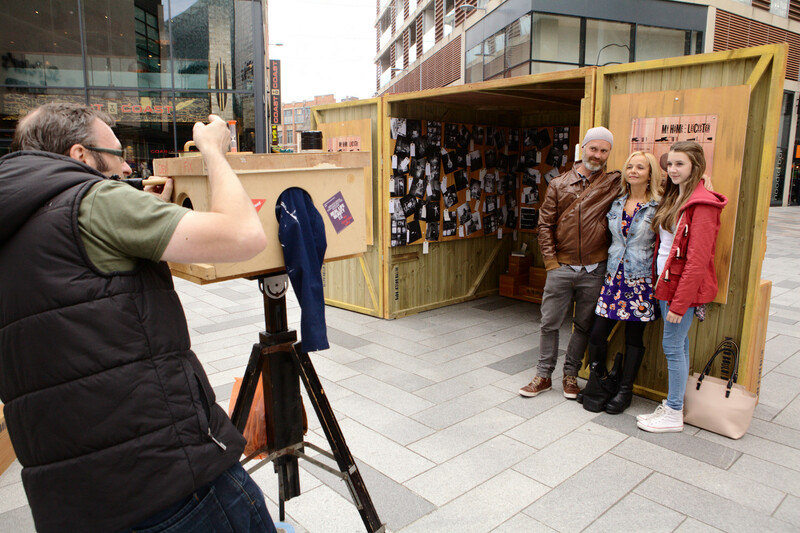 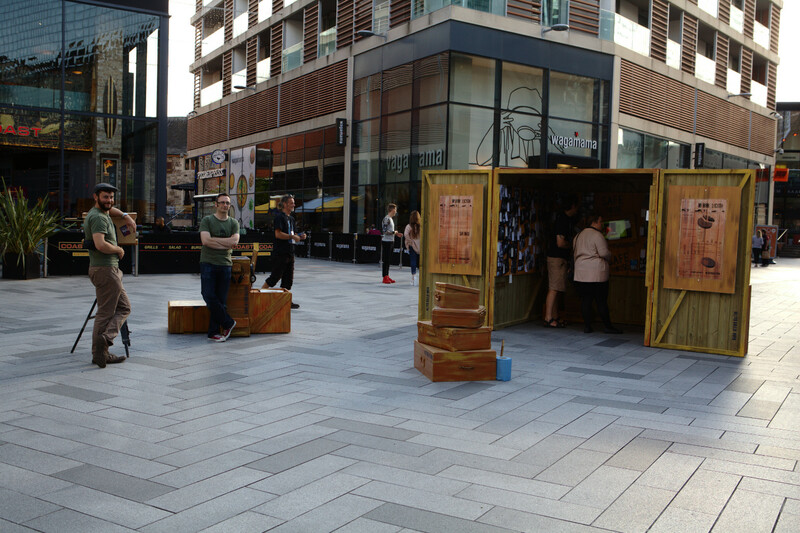 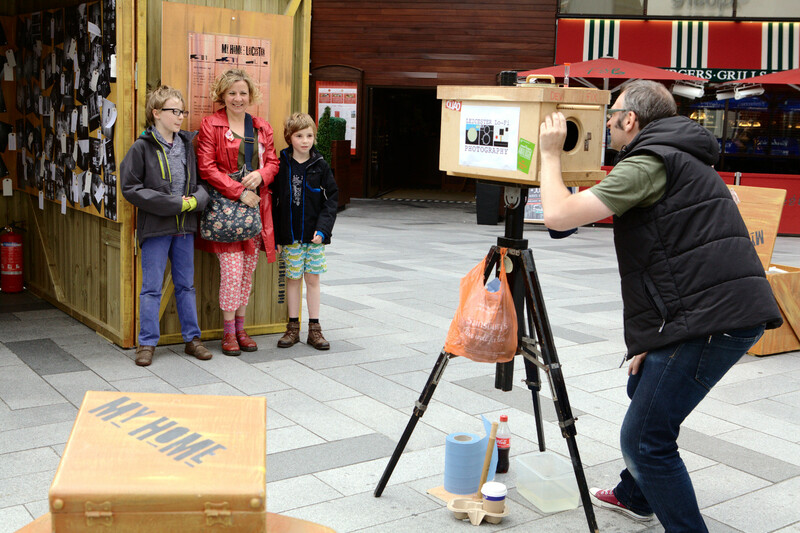 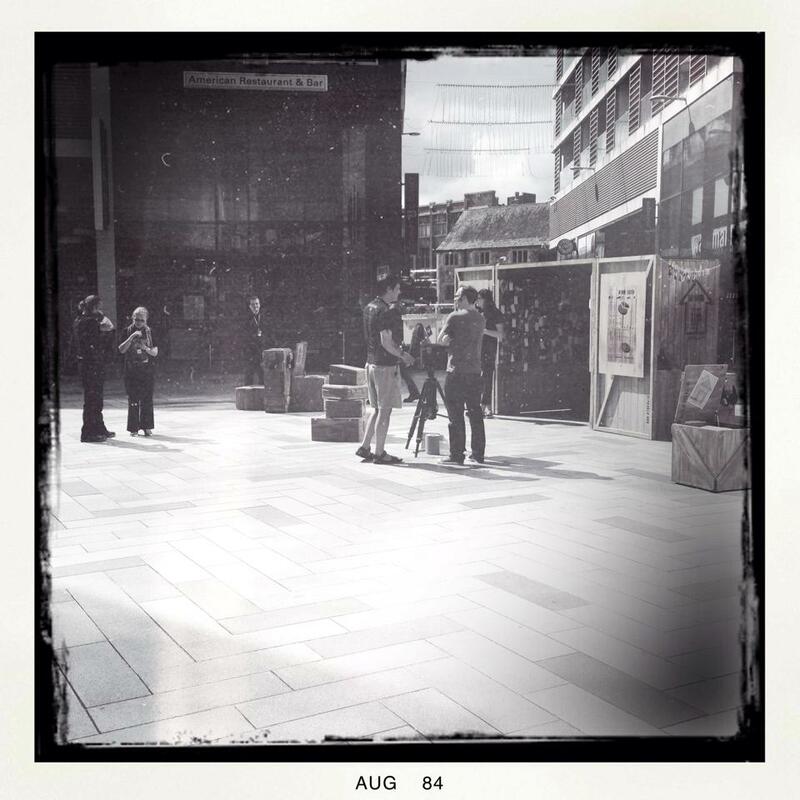 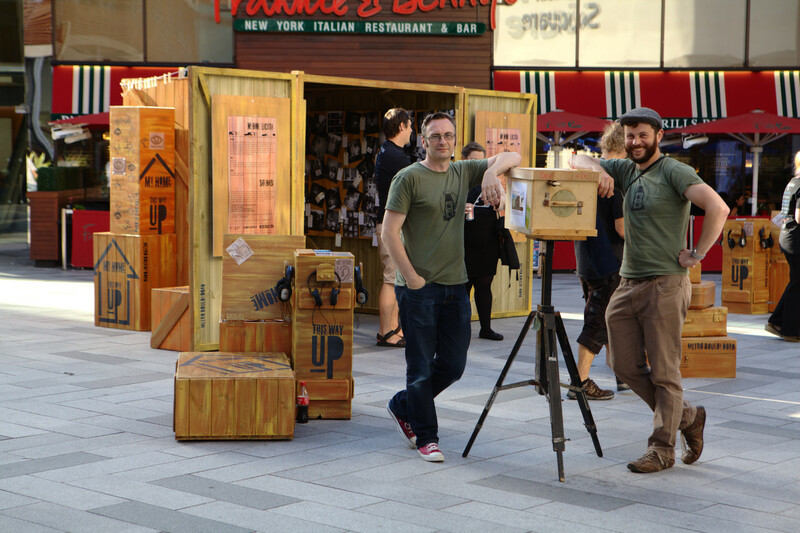 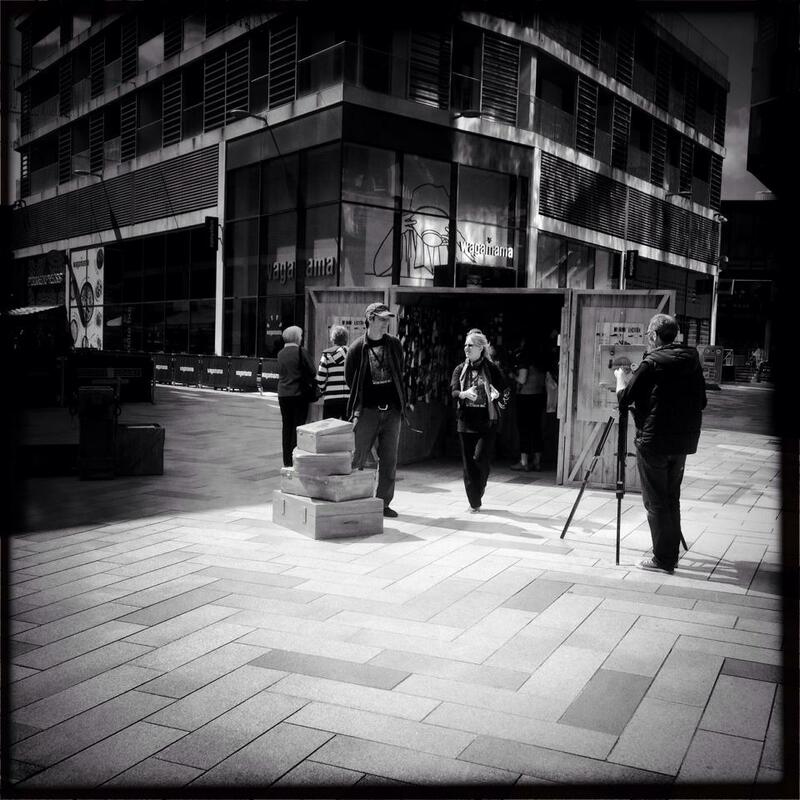 The exhibition was set up in St Peters Square, inside a huge packing crate, built for the exhibition. 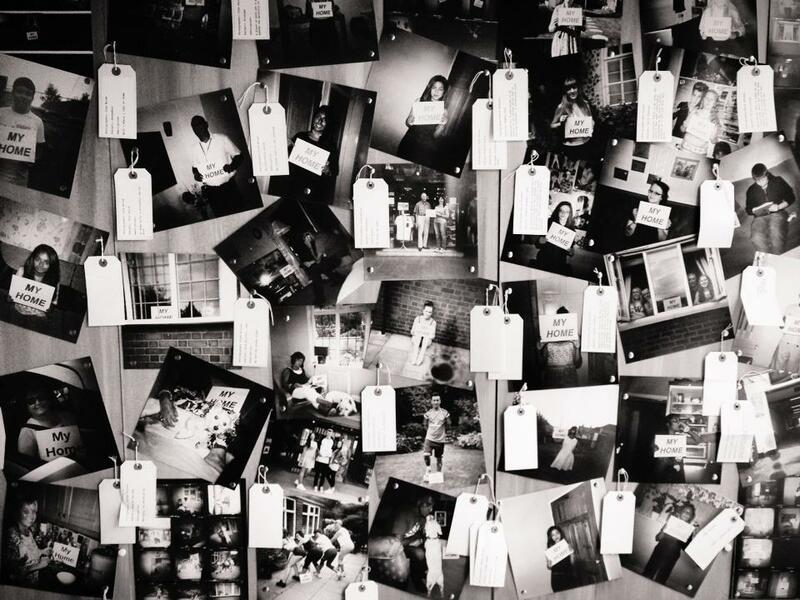 Each student in the groups then displayed their work, linking each picture with tags, explaining what the images meant to them. 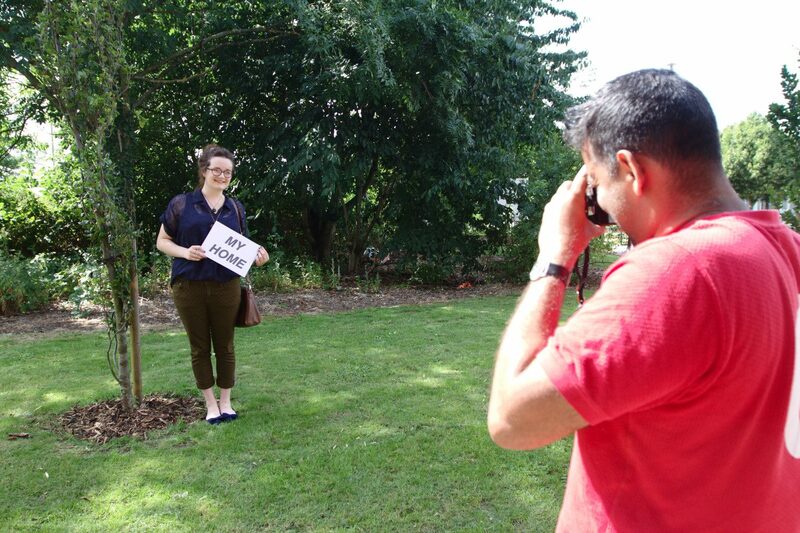 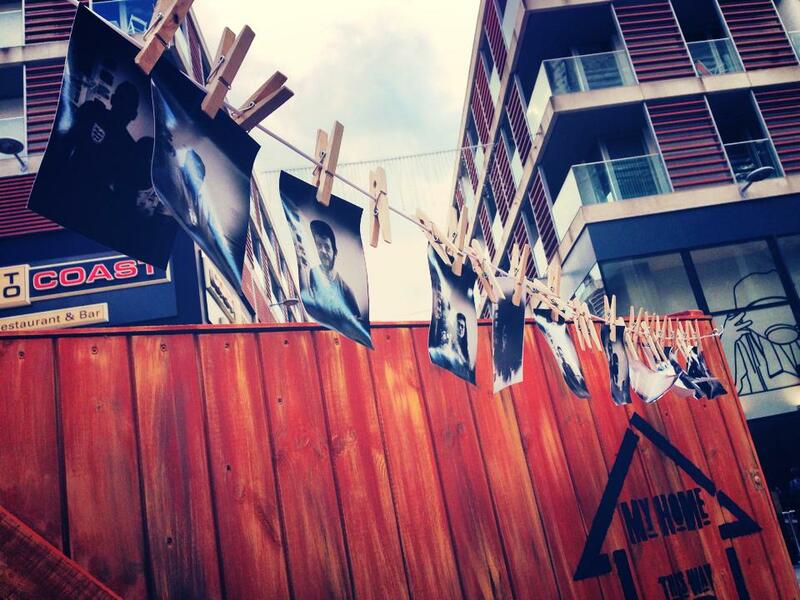 As part of the exhibition we took our Kamra-E-Faoree along and produced portraits of visitors to the exhibition, hanging them up on a washing line out side the display space.